The newly purchased mobile phone or the newly replaced mobile telephone batteries has been used for one year, and the battery life has begun to decline. In fact, this may be a problem with your normal operation. Now Eparts will teach you a few to maximize battery life. method. In general, the latest systems will be smarter and consume less energy. For example: The latest Apple mobile operating system iOS 11.3 has a new setting called Battery Health. Dim the screen and use WIFI instead of cellular networks such as 4G. This will save you a lot of mobile telephone batteries power. The power-saving mode is called "low-power mode" in iPhones, and is also called "super power-saving mode" in Samsung phones, but regardless of its name, power-saving mode will reduce display brightness and prevent certain The app downloads content in the background, which ultimately helps to extend mobile telephone batteries life. Some applications with location services constantly check and update your location, draining valuable battery power. Just go to Settings to determine which apps you want to grant access to your location data. On a hot summer day, you will never leave your puppy in a car with a closed window. The same is true for your mobile phone. High temperatures above 35°C will permanently damage your mobile telephone batteries capacity. 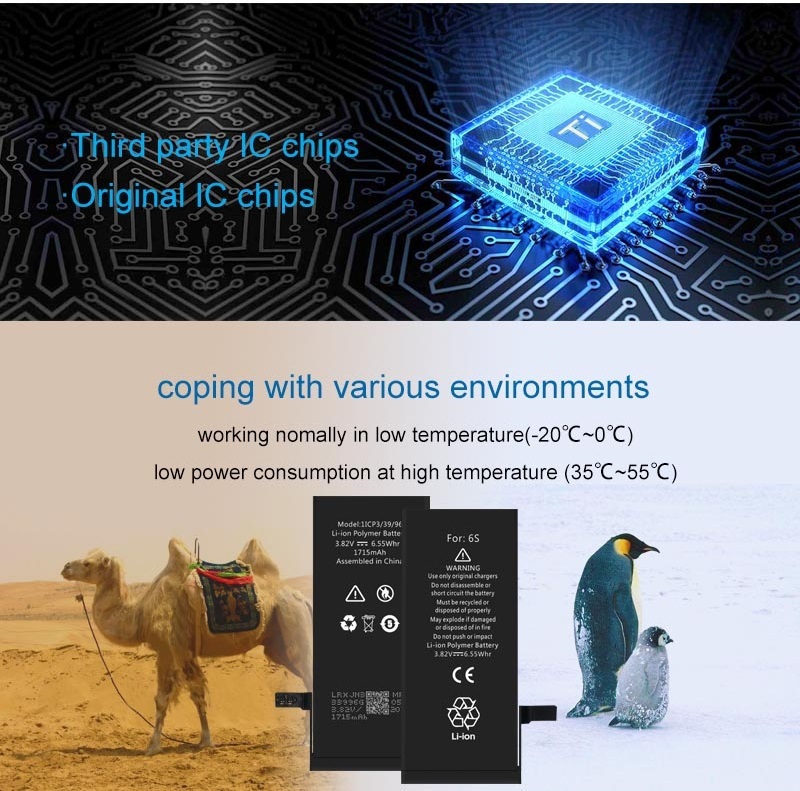 The ideal temperature for the device is maintained between 16 ° C and 22 ° C. Although low temperatures are not as dangerous as hot temperatures, they can temporarily reduce battery life. If your phone is not used for a long time, please make sure it is saved. Charge your phone to around 50%, turn it off and in a cool, dry environment. If your phone is completely discharged while it is being stored, a deep discharge may occur. This means it may lose the ability to hold a charge. On the other hand, the mobile telephone batteries cannot be fully charged, as this will cause the battery to lose some of its mobile telephone batteries capacity.